Wani had claimed that he was called to the Shadimarg camp of the Army by one Major Shukla, where he was tortured. 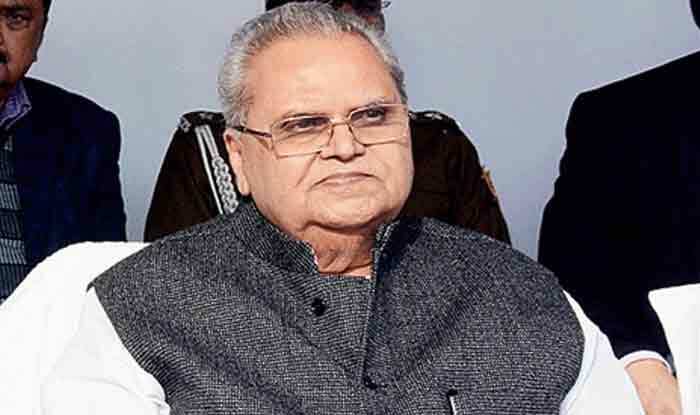 New Delhi: “Former Jammu and Kashmir Chief Minister Mehbooba Mufti should not be taken seriously,” said J&K Governor Satya Pal Malik said, a day after the PDP chief demanded action against an Army officer, who allegedly subjected a man from Pulwama to torture and threatened to kill him in an encounter. “Elections are around the corner and her her party is in bad state, on the verge of a split. Support from such people helped her navigate the route to power in the state. She Should not be taken seriously. Mufti’s comments should not demoralise our soldiers (Chunaav ka waqt hai, unki party toot rahi hai, kharab haal mein hai. Wo isi kism ke support se taakat mein aayi thi, unko seriously lene ki zarurat nahi. Humare suraksha balon ka kisi Mehbooba Mufti ji ke bayan se manobal nahi girne diya jayega),” Malik reacted sharply to Mufti’s anti-army statement. Soon after his comment, Mufti took to Twitter and accused him of talking politically. “Instead of taking cognisance of the brutality that the young boy has been subjected to , and ordering action against the culprits , it is sad that the honourable governor is talking politics instead. Saddened to see the constitutional authorities taking sides so brazenly,” the former Jammu and Kashmir CM tweeted. Mufti’s arch rival and National Conference leader Omar Abdullah also slammed the governor, calling his statement ‘unacceptable and unnecessary’. “Governor Sb this is an unacceptable statement and an unnecessary interference in politics. At this rate it won’t be long before people stop taking Raj Bhavan seriously so please consider the office you occupy before you give statements,” the National Conference leader said, extending support to PDP chief. On February 5, PDP president Mehbooba Mufti had asked governor to take action against an Army officer, who allegedly subjected a man from Pulwama to torture and threatened to kill him in an encounter. “I would request the governor and the Army chief to look into the matter as to why has the Army officer so brutally tortured this youth that he has been hospitalised,” the former Jammu and Kashmir chief minister told reporters after paying a visit to the man — Tauseef Wani — at the SMHS hospital. Wani had claimed that he was called to the Shadimarg camp of the Army by one Major Shukla, where he was tortured. According to him, he was also threatened that if he did not pose with a gun, he would be eliminated in an encounter.